Last Friday, I graduated for the second time. It was noticeably different to my first graduation ceremony for my undergraduate degree. No cap and gown, no crying mum and no worrying about what I’ll do with the rest of my life. However, unlike my undergrad, I joined the CIPR Internal Communications (IC) certificate course not really knowing what IC was or whether I’d be any good at it. In fact, I applied for the course only a few months after ‘discovering’ IC, and I was only two months into my first general comms role when I started the course last October (when you know, you know, I guess!). The course consisted of four all-day Saturday sessions over four months. While this may sound painful, the engaging and informative course topics meant that it was anything but. On the course, I learnt how to help employees become more engaged at work; how to implement internal social media into a company and how to write a strong corporate narrative. I particularly enjoyed exploring organisational tone of voice and learning how to create a robust communications plan (FYI: setting SMART objectives is not as easy as it sounds!). It was a steep learning curve for me, and there were a few times when I felt overwhelmed by all the information. However, this soon faded once I took time to assimilate my new knowledge and do some further reading. At the end of the course, I had to write a 3,000-word critique examining one aspect of IC theory in the context of a real-life organisation. Having thoroughly enjoyed learning about engagement, I chose to focus on the interplay between IC and employee engagement at my workplace. On the advice of a friend who had recently completed my course, I began preparing for the assignment as early as I could. The preparation process was reminiscent of my uni days, not least because I spent hours researching and writing the assignment in my old uni library! In the end, I got a distinction, so all my hard work and sacrifices were not in vain. I’ve written elsewhere about how friendly and enthusiastic internal communicators are and my ‘classmates’ were no different. There was a real sense of camaraderie in my teaching group and everyone was up for sharing successful techniques, funny employer stories and course notes. We were an eclectic group in terms of professional backgrounds, seniority, geography and industry. As well as IC officers and managers, there was a Dutch consultant who flew in for the lectures and an employee of the Royal Household! As the most junior communicator, I initially felt that I had little to offer the group, so I kept quiet. But after reflecting on my previous work experience and psychology studies, I realised that I had some great insights to share and I began actively participating in class discussions. Although I’ve only just officially completed the course, I believe that it has already opened up many doors for me. Since applying for the course last summer, I’ve been offered two comms jobs, been highly commended as a future leader at the CIPR #InsideStory Awards and have won a staff award for innovative comms. This recognition is a testament to the knowledge and skills that I acquired on the course, which I’ve reinforced with work experience and further reading. Moreover, I self-funded my studies which shows that I’m committed to my professional development; a key competence for many IC jobs. I’d highly recommend studying IC academically, particularly if you’re a career-changer like me. Signing up for the course was a big leap of faith for me; thankfully, it was a worthwhile investment. I’m now a more confident and effective IC practitioner. I’ve decided to postpone further academic studying for now so that I can continue to embed what I’ve learnt into my practice. That being said, I’m a nerd at heart, so I reckon it won’t be too long before I’m back studying again! **P.S. I’m looking for a mentor – ideally a senior IC professional – who can help me move into an IC management role. If this sounds like you, I’d love to hear from you. 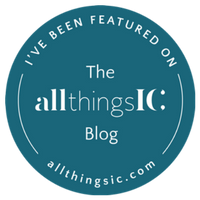 This blog post was first published on Rachel Miller’s All Things IC blog (9 July 2017) – http://www.allthingsic.com/how-to-study-internal-communication/.